Description : A simple thank you has always been the most direct way to motivate and retain employees. Now there is a quick, fun and easy way for any organization to harness the power of recognition on an unprecedented scale. 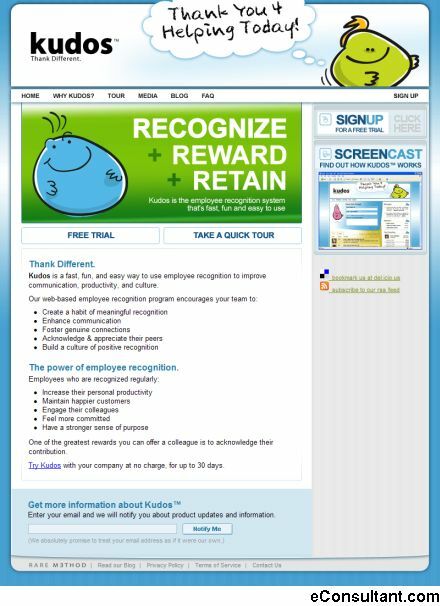 Kudos enables anyone to send a virtual pat on the back to anyone else in an organization. Now recognition can come from anywhere, anytime, in seconds. But the positive effects can last for years.